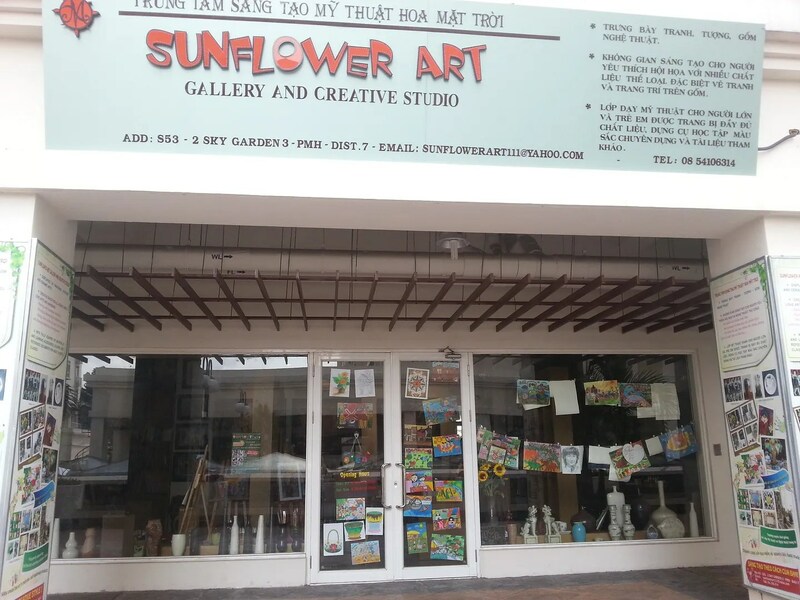 Sunflower Art | Hello Saigon! 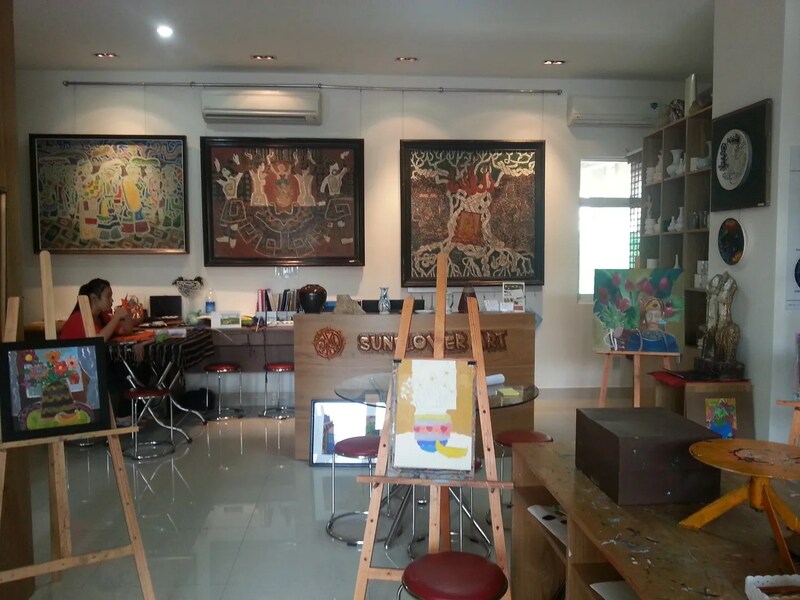 I’ve been always quite jealous of District 2 with it having the art studio, Vin Space. 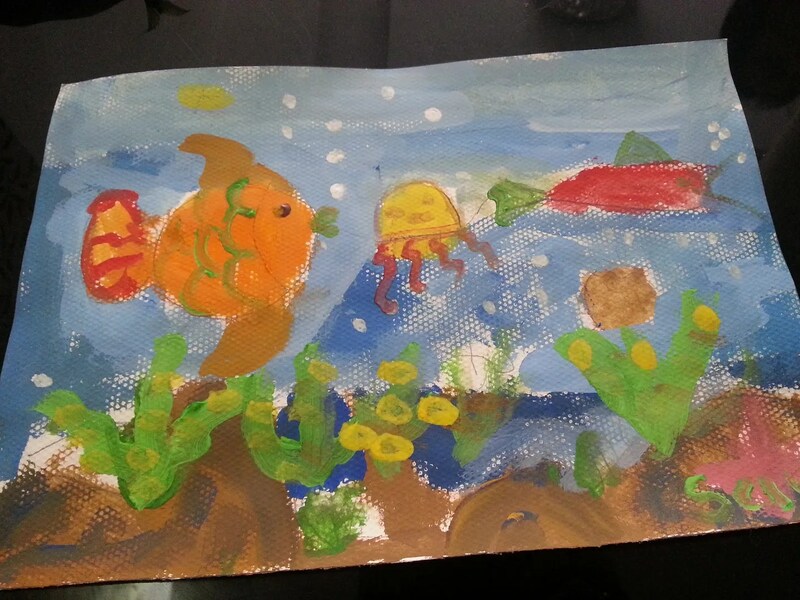 It really is a terrific place to learn about art — especially for the kids. 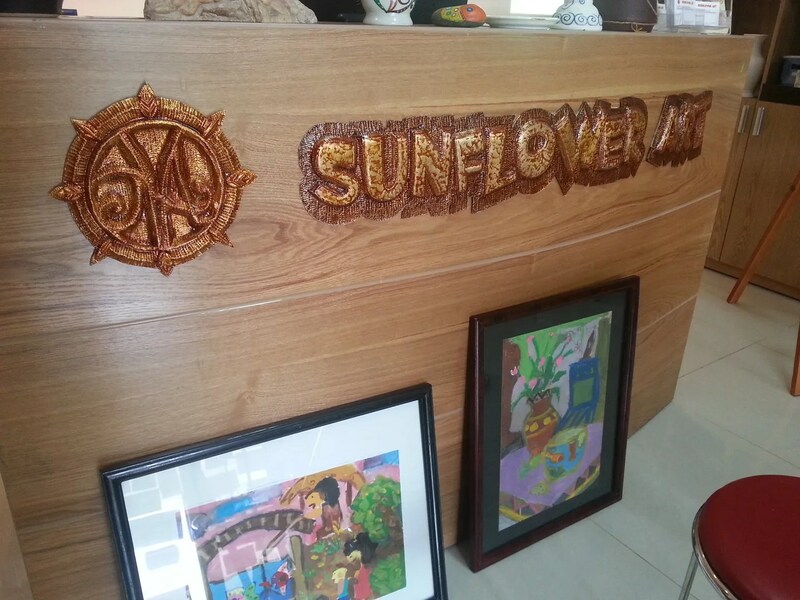 So imagine my joy when Sunflower Art opened just at the 2nd floor of our building. He is joined by his friend and EC-3 classmate. 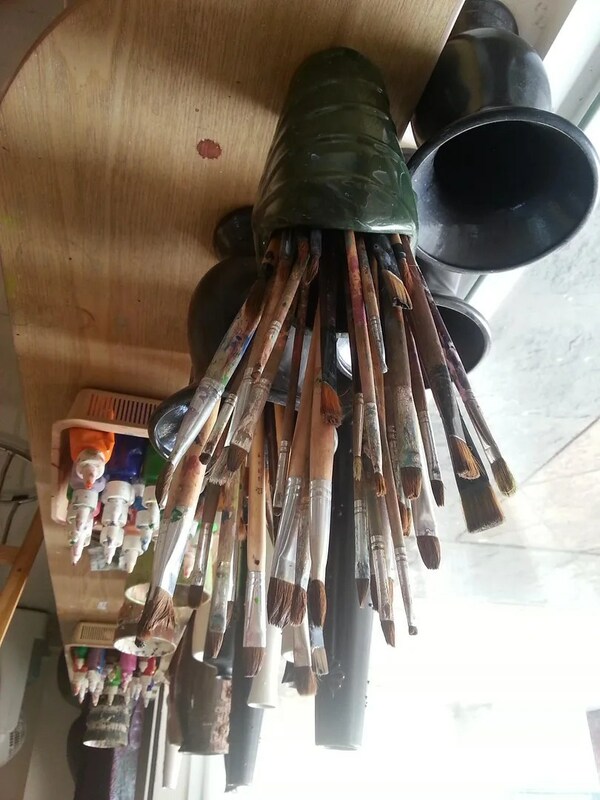 They make use of different medium — so sometimes it’s paper, sometimes figurines, and even a vase. 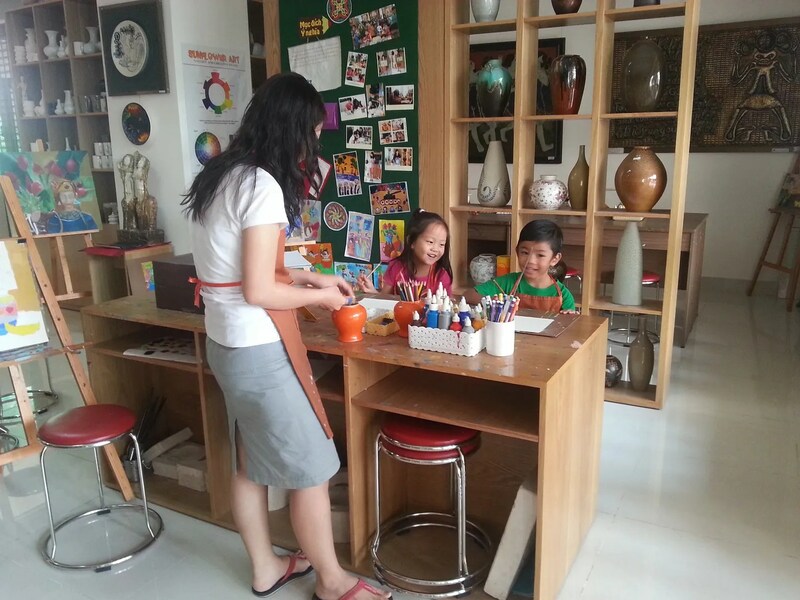 The cost for children is 120k VND for drop-in. The cost lowers if you enroll your child say for 20 sessions (2x a week) cost 2.1 MVND while 30 sessions (3x a week) cost 3MVND. 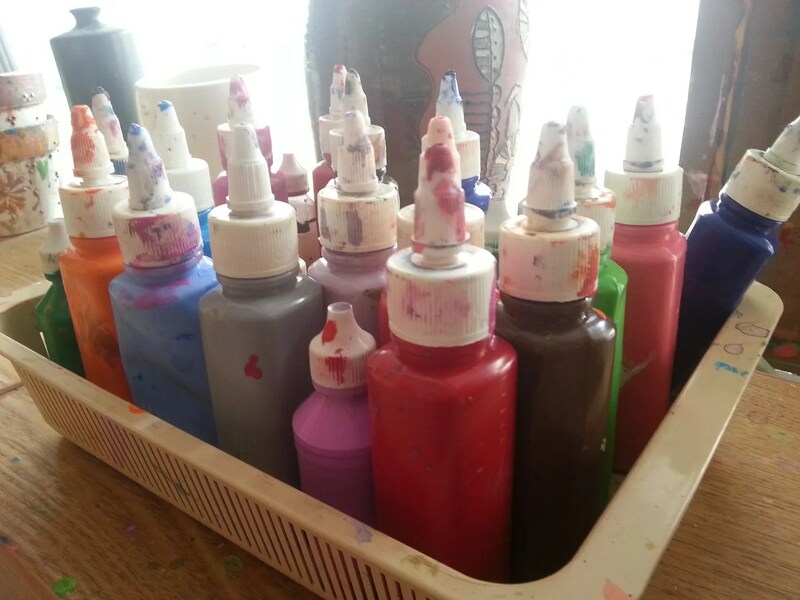 Sunflower Art has classes for adults too for 250kVND for a 2-hour art session. This entry was posted in Exploring Saigon and tagged art, Ho Chi Minh City, kids, Phu My Hung, Saigon, school, Sky Garden, Sunflower Art, Vietnam. Bookmark the permalink.